Research in my laboratory focuses on trafficking and regulation of ionotropic glutamate receptors (iGluRs) and their function in synaptic physiology and circuit development. To this end, my laboratory uses and develops technologies that combine molecular biology, cell biology, biochemistry, as well as expression of engineered genes and siRNAs in neurons to do electrophysiological, imaging, and behavioral experiments. As a graduate student, I studied phosphorylation of glutamate receptors by CaMKII during long-term potentiation (LTP), a molecular and cellular model for learning and memory. We established that CaMKII phosphorylates the AMPA-type glutamate receptor upon induction of LTP, increasing its single channel conductance (Science, 1997; JBC, 1997; PNAS 1999). This model has been confirmed by several other laboratories and is now widely accepted as part of the mechanisms underlying LTP. As a postdoctoral fellow, I focused on trafficking and function of NMDA-type glutamate receptors. I developed optical and electrophysiological tags to study the trafficking of NMDA-Rs using two-photon laser scan microscopy and electrophysiological techniques (Neuron 2002, 2005). 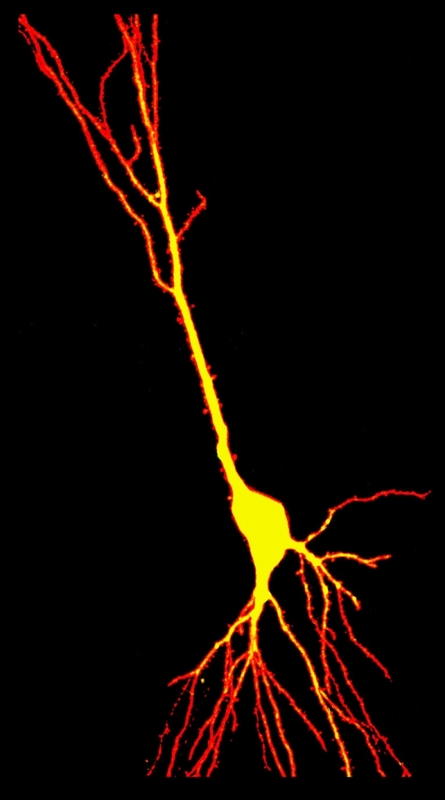 Currently, my lab focuses in 2 main research programs: 1) Role and trafficking of NMDARs, and 2) Regulation of glutamatergic synapses by Wnt signaling. Key contributions of the lab include identification of molecular determinants that control trafficking of NMDARs, establishment of the role of NR2 subunits during synaptogenesis and development, identification of a novel regulatory mechanism of NMDARs via Wnt signaling. These contributions to the understanding of trafficking, role, and mechanisms of NMDARs in development and synaptic physiology are reflected in a rich publication record, including papers in Journal of Physiology, PNAS, and Journal of Neuroscience.